Jose Narciso in Philosophy & Religion on 16 November, 2018. Amidst the many aspects that constitute philosophical humanism, one particular aspect that compels us to reflect intently on the nature of being and the universe is the existence of free will. What is the relevance of free will? Why do we care so much about it, and why do philosophers consistently devote time towards its understanding? 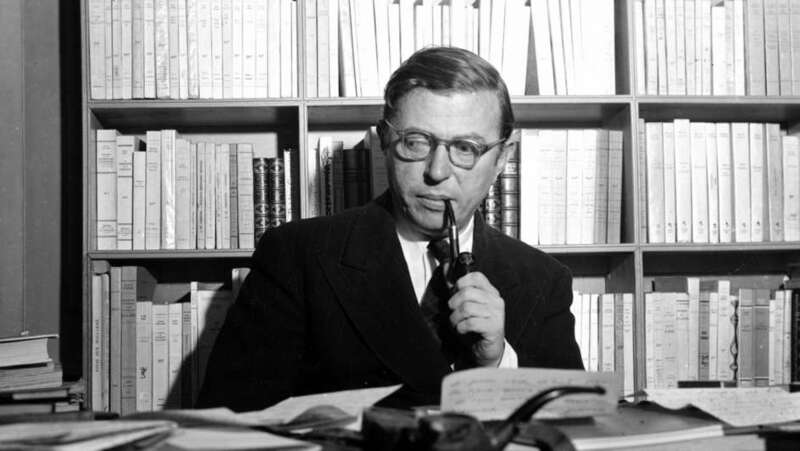 Although such inquiries have been the topic of contentious philosophical debate for centuries, the response that established free will as integral to human agency and personal meaning was pioneered by French philosopher Jean-Paul Sartre. Sartre proposes that personal meaning is not preordained by a higher power or imposed by society, but is instead created out of pure human volition; this is known as the philosophy of Existentialism. To advocate such a philosophy, Sartre provides an intriguing analogy concerning a café waiter. The analogy goes as follows: a waiter, clearly dissatisfied with his job, assumes that there is no escape from his current condition. He convinces himself that he must be a waiter; perhaps he has no other skills; perhaps he is financially inadequate, or perhaps the job was given to him by an adamant father. 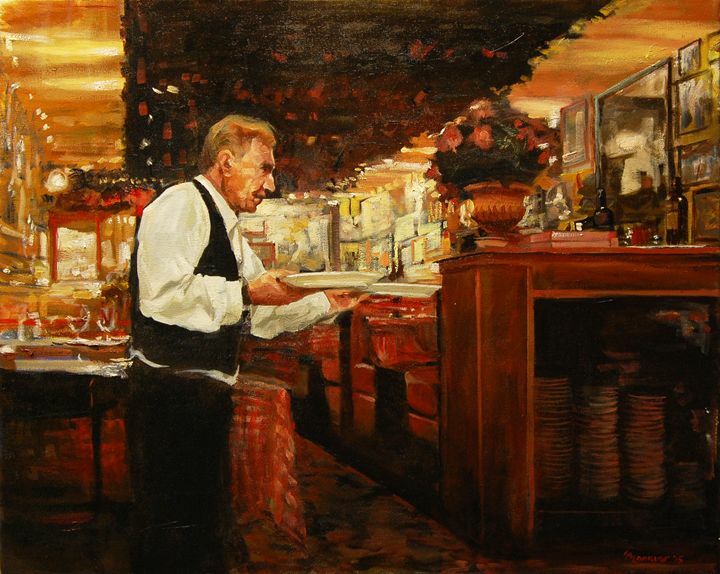 Either way, the waiter deludes himself into thinking no other option for him remains in life; waitering must be his destiny, it must be his ultimate role in an indifferent universe; in other words, he has no escape (Philips, 1981). This belief is what Sartre labels as ‘bad faith’. To live in ‘bad faith’ is to believe one possess no free will given any circumstance. Whether it be a dull job, a familial pressure, or a societal imposition, Sartre believes that the power of free will may overcome the angst that arises from any such situation. In doing so, one arrives at the Existential realization that we are—in reality— free to make what we want of ourselves. To say: ‘’family tells me to do this’’, ‘’society tells me to do that’’, or even ‘’God’s word is this’’ is to an Existentialist a denial of innate human freedom. As a result of such a denial, apathy, anxiety, and depression arise to our detriment. Sartre states that in order to live contently in a universe devoid of intrinsic meaning, one must use their freedom to create meaning for themselves. If an individual aspires to become a Batman-esque vigilante, he may do so. Similarly, if one aspires to not do anything but play video games all day he may also do so. It is this fundamental sense of freedom in which Existentialism garners its attraction as a way of living. As attractive as Existentialism may seem, Sartre’s contemporary Albert Camus proposes an alternative philosophical view: Absurdism. While both philosophies hold free will as integral to human agency, Camus instead posits that the pursuit of personal meaning is ultimately futile. The world is inherently chaotic, and thus the only way to live in such a world is to accept its meaningless absurdity; true happiness may only derive from such an acceptance (Camus, 1942). However, many find Absurdism counterintuitive in comparison to Sartre’s view. If I am able to recognize the power of free will and form meaning for myself that I am fully content with, then Camus’ philosophy begins to sound rather unflattering. For a more detailed outlook on Absurdism, I highly recommend reading Maguire’s Camus and Absurdity. While the complexities of Sartre’s philosophy remain exclusive to his dense literature, acknowledging that individuals are autonomous agents capable of asserting personal meaning may be a liberating and reassuring thought for the dissatisfied waiter inside us all. Whether you accept Existentialism as an ideal way of living however, is entirely up to your discretion.